Low-cost labor pool? Check. Abundant raw materials? Check. Low electricity costs? Check. Shorter lead times to the United States market? Check. Lower minimums? Check. Heavy investment in infrastructure and factory capabilities? Check. Duty-free pricing? Check. 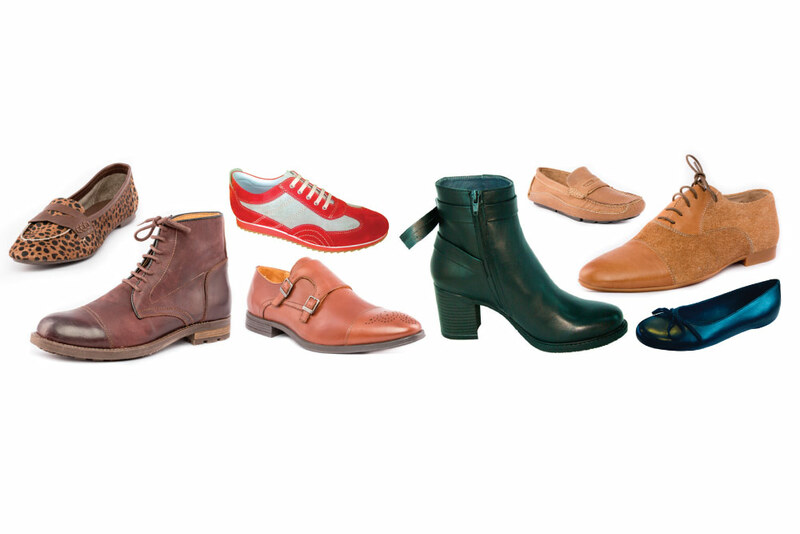 What’s not to like when it comes to sourcing shoes out of Ethiopia and neighboring Kenya? Making the region even more attractive is the ongoing seismic shift in footwear production worldwide. Newsflash: China is no longer the end-all, be-all sourcing partner, and the shift is happening at warp speed. Manufacturers and private label retailers have little choice but to adapt on the fly and find new reliable factory partners that can deliver quality merchandise consistently and, perhaps most importantly, quicker. Lead times are getting shorter. Trends move far too fast today for brands and retailers to bank on them sticking around for months. The fact is, however, no single country or region can make up for China’s shortfall as evidenced by the recent spikes in production in Vietnam, India, Indonesia and Turkey as well as a upticks in Brazil, Portugal, Spain, Morocco and Italy, to cite a few. Footwear production is spreading around the world and, thanks to new technologies like robotics and 3D printing, where and how shoes are made will continue to spread out. What’s more, the costs of production are highly competitive compared to China’s pricing, as are the quality of goods, according to Saliman. Thanks in part to the African Growth and Opportunity Act (AGOA) that aims to open economies and build free markets of member countries, the shoes are allowed to enter the U.S. duty-free. Helping lower costs further is the plethora of raw materials in Ethiopia. The country has the largest hides stock on the continent and tenth-largest in the world. “The abundance of leather gives prospective brands lots of material options to work with,” Saliman says. In addition, Finn Holm-Olsen, AGOA trade advisor for the East Africa Trade & Investment Hub, cites electricity costs, which are some of the lowest in the world, as another factor helping keep production costs down. “From a factory standpoint, that makes it very attractive,” he says. Perhaps the strongest evidence that Ethiopia presents enormous potential for footwear manufacturing lies in the investment it has been receiving from Chinese manufacturers to ramp up its production. “Asian factory investments have helped set a new standard and raised the bar of these factories,” Saliman says. “The factories are developing their own hand and character, building a strong reputation in men’s, women’s and kids shoes.” In fact, several Chinese manufacturers are now making millions of pairs of shoes annually in Ethiopia and shipping a portion of that to the U.S. under big-name brands,” Saliman adds. Michael Nzuki, director of Anzuki Recycle Designers, rode a bus for more than five hours from Malindi, Kenya, to visit the East Africa Trade & Investment Hub headquarters in Nairobi earlier this year. 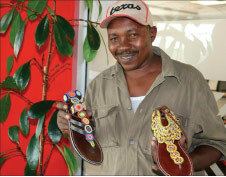 He met with Hub footwear advisor Jordan Saliman to seek advice on how to increase his exports to the U.S.
Nzuki currently employs 20 workers to hand stitch and bead his sandals, bags and belts. His dream is to employ 100 people some day, noting how poor villagers often show up to his factory looking for work. If he gains a more consistent market—something the U.S. could provide—he could hire them. Saliman, for one, is optimistic about Nzuki’s chances. He notes the price point is attractive and the sandals are of a high-quality and fashionable. “He has a passion and feel for the product,” Saliman says. “He’s quite the entrepreneur.” Across East Africa, Saliman believes there’s plenty more companies/opportunities like Anzuki Recycle Designers. “The workmanship, value and passion for the products are strong,” he says.